The Utrecht Hill Ridge (Utrechtse Heuvelrug) is a 50 km long ridge of low sand hills that stretches from southeast to northwest over the Dutch province of Utrecht. 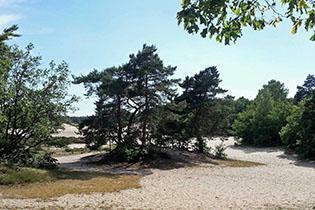 We cycle through the Soesterduinen and surrounding woodlands in the northern part of this ridge. Excellent cycle paths lead us through dusty sands, heath and woodlands. On our route we will cycle through Park Airbase Soesterberg a unique nature area and heritage treasure. In 1910 Verwey and Lugard two car dealers from the Hague started an airfield in this heathland. They hosted air shows and demonstrations. After initial success they went bankrupt in 1912. The airfield became the birthplace of Dutch military aviation in 1913 and remained a military airbase until 2008. Climb the original 1910 viewpoint pavilion and explore history when you wander past the military buildings. The former runway is now the widest cycle path in the world! 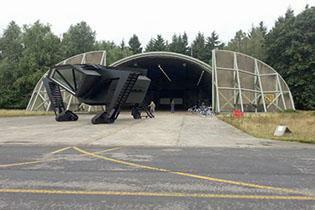 Park Airbase Soesterberg also houses the National Military Museum which is certainly worth a visit. 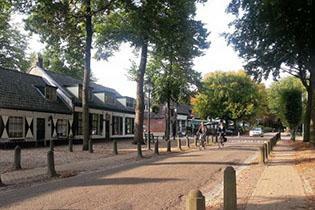 The little village Lage Vuursche is the ideal place to have a traditional Dutch pancake for lunch. A visitor wandering among the 18th-century houses feels as if time has stood still. The village has a royal status thanks to Princess Beatrix (the former queen) who lives in Drakenstein Castle.